We are excited to launch the Ovarian Cancer Screening Appeal, funding research into the development of the world’s first screening tool for ovarian cancer. Survival rates are shockingly low and we believe women deserve better. If ovarian cancer is detected at the earliest possible stage, a woman could have a 90% chance of survival. If it is detected at a late stage, her chance of survival reduces dramatically to as little as 4%. By detecting the disease in its earliest stages we can give every woman a fighting chance of beating ovarian cancer. 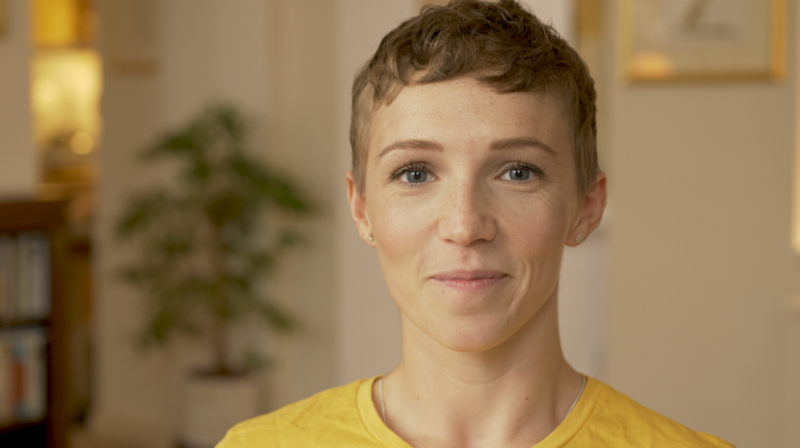 "Now, my main focus is to make sure that every day is a good one"
Suzie was diagnosed with small cell ovarian cancer aged just 25. Read her story. The Ovarian Cancer Screening Appeal aims to fund research into the world’s first screening tool for ovarian cancer, which will detect the disease in its earliest stages. Thanks to your generous support, since 2014 Ovarian Cancer Action has funded the work of Professor Ahmed, a world-renowned ovarian cancer expert, and his team of researchers at the University of Oxford. They have already made great strides in the fight against ovarian cancer with the discovery of a protein, SOX2. This protein is found at higher levels in women with early-stage ovarian cancer or in women who are predisposed to the disease due to an inherited gene mutation. Eventually women could be tested for this protein and identify if they have, or if they are at risk of developing, ovarian cancer. Professor Ahmed can’t do this alone. You are vital to the development of a screening tool. We need you to show the world that women deserve better. Will you help fund research that will make a screening tool a reality? Join the fight, and be a part of one of the most exciting developments in ovarian cancer research in recent years. At Ovarian Cancer Action we are on a mission to stop a disease that strikes at the very heart of what it means to be a woman. So, get your friends together and join the fight against ovarian cancer.